Conditioning your mind daily is not only an important part of training your brain, it’s an important part of being happier and more productive in playing golf. 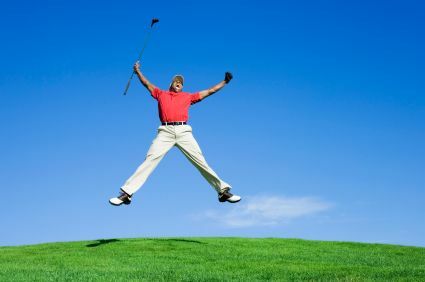 The mental skills that help your golf game are also valuable human skills that will help you in all areas of your life. Daily exercises can improve your habits and can get closer to perfecting your game each day. It’s important to think of your goals daily to have a strong visual image in achieving a success in your game. You can start your day by reminding yourself of your long term goals. Visualize them as clearly as possible. Visualization is a great way to increase your belief in achieving your goals, by making them more real in your mind. By achieving them, you’ll feel great with the accomplishment and fulfilment and you can build the confidence you need to achieve your bigger goals. You need to be confident and have a great attitude in playing golf or any other game. Make everyday a great day. Just by doing it to yourself can immediately make you feel better, and you help bring a better day towards you. Confidence and great attitude can help shape your performances more than anything else. The best players might not always perform their best, but their confidence is always there. You need to be optimistic about the possibilities – the best players in the world always expect good things to happen to them. Start your day by thinking about what you’re grateful for. Being grateful is a mindset shift. Many of us dwell on past mistakes and what we don’t have. In reality, worse things can happen, so remind yourself of the things in your life that you are fortunate to have. You’re going to feel more better. Think of past memories that made you happy. Have a stockpile of your most cherished memories, especially those moments where you have achieved something great. These memories need not be golf related – they’re simple memories that are going to trigger positive emotions. Focus on the positive side. Make it a habit to review your day of the positive things that happened, you’ll begin to train your brain to see the positives without reminding yourself to do so. Review your game and focus on the things you did well, highlight the successes and write down. Be objective of the things that you could have done better and set a new goal on improving them. You need to eat the right food. There’s plenty of advice on eating the right food which shows what you put in your body affects your mood, mental, physical stamina, and focus. Use nutritional products that are great for golf. You need to exercise also regularly. Exercise is one of the most powerful mood boosters. All kinds of exercise will help you feel better. So, if you want to become happy and productive in playing golf, learn the above training tips for your brain so you can achieve a better game.